This piece is about 19 printed pages long. It is copyright © Neli Moody and Jacket magazine 2010. See our [»»] Copyright notice. This essay suggests, first, that the arrangement of the stones themselves constitutes a kind of pre-verbal syntax, and second, that in this poem Berengarten has succeeded in capturing and expressing this ‘patterning’ in words, at least to some degree. ‘Avebury’ and Sunstone are both ‘mystery’ poems, in that their settings do not easily yield up their meaning. Both are concerned with what might be termed architextuality. Paz’s Sunstone deals with the relationships between architecture, cycles, ritual and culture. It is lush with vegetation and sexuality, tinged with violence, and written with a piquancy that is shared by other Latin-American writers, such as poets Pablo Neruda and César Vallejo and novelists Gabriel García Márquez and Laura Esquivel. Like Sunstone, ‘Avebury’ contains imagery of fecundity and decay. Avebury, a sacred site  larger than Stonehenge, becomes a place in which the poet seeks to unravel a mystery that is at once spiritual, communal and personal. Part of the allure of such sacred spaces, even today, is that they literally and figuratively stand for experiences beyond our comprehension. Their meanings, because pre-textual, are elusive to us; yet it is clear that their structures are based on significant numerical formulations. Thus, as if aiming explicitly to enact and embody these numerological significances, Sunstone is composed of 584 hendecasyllabic lines. The first six syllables are repeated at the end of the poem. The importance of this number is that it is equal to the synodical revolution of the planet Venus (Paz 1985: 57). The Mayan calendar begins with this Venusian cycle. Berengarten’s ‘Avebury’, on the other hand, is composed of 24 short sections, roughly divided thematically: this being the approximate number of hours it takes for the earth to complete one rotation. The cyclical trajectories of celestial bodies are mirrored in these recurrent patterns of words and lexical dualities, such as stone/dance, seeing/blindness, speech/ silence, just as they are celebrated at Avebury and Stonehenge. Numerous cyclic motifs in ‘Avebury’ are evident at a number of levels. For example, the second section introduces us to a speaker who is described as pacing — circling the stones, much as an animal might circle and sniff a place in order to discover its story, its meaning (For the Living 26). The speaker hopes to find answers to his questions, ostensibly about the sacred circle, but, on a deeper level it soon becomes apparent that this quest is a search for self, for one’s place in the universe. ‘Avebury’ begins with static images of ancient stones in the grass, but these images suggest that here is a story waiting to be told. Furthermore, the idea of telling and saying is hinted at by words that have to do with the mouth, such as ‘yawning’, ‘tongued’ and ‘cracked jaw’ (For the Living 25). ‘Avebury’ ends with the imagery of water or, perhaps, of light: ‘waves / expanding, re-echoing / including / us here / enclosing / us here / say the stones / now every / where centre’ (For the Living 50). Hence, the movement is from circle to circle, centre to edges and back, physically, just as the text itself is arranged on the page. Metaphorically and symbolically, the stones are polysemous: they stand not only for culture, but also for deities, portals to heaven and hell; and ritualistically, the stones circumscribe sacred spaces where communal experiences were once enacted. Such rituals in themselves perform multiple functions. One is that, through religious experience, an individual defines and affirms lineage, i.e., blood connection to the community. In addition, the stones literally mark time. In the same way that the river becomes a vehicle for Eliot to examine concepts of time in ‘Dry Salvages’, Berengarten uses the stones of Avebury, the place, to perhaps discover something about the mystery of time as a non-linear event, because they have been invested with a power beyond their own time and function. The stones at such sacred sites are aligned with celestial events, such as the solstices, with an accuracy that today almost defies our sense of the possible, given the knowledge and manpower that must have been needed both to move and to set these huge slabs in place. In a sense, then, all such ancient stone artefacts are attempts by human beings to honour the patterns of nature. And quite apart from conceptual and religious factors, such matters were of clear practical relevance: it has been argued, for example, that such edifices were built on or near the flood-plains of Egypt and China in order to perhaps exercise some power over the cycles of flooding by appealing to various deities. But they also speak to social and cultural concerns, such as the well-being of the community. In the case of a site such as Avebury, it is difficult for us even to imagine the connections that it embodied for its builders — for example, those between sky and earth, goddesses and gods, timelessness and time, dead ancestors and the living — partly because we are so removed from the family and kinship relationships that prevailed at the time when it was built, and partly because later paternalistic institutions more or less obliterated practices that sanctified the feminine, that is, other than within the acceptable dualistic frame of ‘virgin/whore’. In fact, the speaker in ‘Avebury’ challenges this duality in the penultimate section, when he states ‘this was no whore’ (For the Living 49). ‘Avebury’ freely moves through time, from pre-textual history to descriptions of art and civilisation, in the same way that Olson’s Maximus Poems and all of the poems in Eliot’s Four Quartets envision history as an event that is taking place now and always, past and present simultaneously existing. In the last stanza of Part 1 of ‘Little Gidding,’ the speaker theorizes about a pilgrimage where ‘[… ] the communication / of the dead is tongued with fire beyond the language of the living. / Here, the intersection of the timeless moment / is England and nowhere. Never and always’ (Eliot 1952: 139). This is also a conception of time that G. R. Levy discusses in relation to ancient peoples and their sacred spaces in The Gate of Horn, as we shall see later. Avebury was (and, to the sympathetic visitor, remains) a ritual space, in which people were (and are) transformed, reborn as more realised versions of themselves. To understand how the architecture of Berengarten’s ‘Avebury’ unravels the mystery of the stones, we must delve into the poem’s origins. This process will necessarily involve exploring motifs of fertility and creativity, of cyclic pattern and ritual, and of art as message and meaning. Berengarten’s comments suggest a way into ‘Avebury’ that involves the use of pre-literal skills; through encountering the text as visual composition, arrival at the metaphorical heart of the poem, through its iconicity, becomes easier. Berengarten goes on to say that the act of making the poem a ‘visual text’ opened the poem ‘spatially’ for him, so that it was no longer ‘linear’ — which is the ‘normative’ way we read text. By giving the poem spatiality, Berengarten has opened the poem temporally as well. In this context, Olson’s practice of field poetry intrigued Berengarten and, arguably, no form could have been more suited to the content of ‘Avebury’ than the Olsonian open form. Berengarten uses words like ‘mime’, ‘embody’, ‘encapsulate’ and ‘enshrine’ to describe the process of building his ‘Avebury’. He refers to this process as ‘composing’ as he says, ‘in the strict etymological sense [of] putting together’. In this connection, Berengarten also mentions the poet W. S. Graham (1970, 1977), although he wrote the poem before he became familiar with Graham’s investigations of the ‘phenomenal world itself [as] language’. Thus Berengarten implies that, just as language is a code that must be deciphered, so are these stones ‘coded’, and it is the speaker’s task to recover the key and discover the meaning of the ‘text’. Eliot, however, writes in ‘East Coker’ of ‘old stones that cannot be deciphered’ (Eliot 1952: 129). Conceptually, Berengarten also specifies that much of his thinking in this book derives from his reading of G. R. Levy’s The Gate of Horn. He incorporates phrases taken directly from Levy’s work, specifically from Chapter 1, which informed Berengarten’s writing about the Palaeolithic ‘Venus of Willendorf’ figurine (For the Living 30), as well as his descriptions of caves as sacred spaces of ritual and transformation (For the Living 35–40). The title of Levy’s book refers to the two Homeric entrances to the Underworld. In the Aeneid, Virgil describes these entrances to sleep as the ‘Gate of Ivory’ and the ‘Gate of Horn’ (Levy 1963: v). The Gate of Ivory is the gate of false dreams and the Gate of Horn leads one to truth (Book VI: ll. 1235–1240) Similarly, in ‘Avebury’, there is a descent into the underworld, a journey often required of initiates in ‘primitive’ spiritual ideologies, for it is only by dying, going down, that one can be reborn. Such a belief echoes as a predominant theme through Berengarten’s text, especially with the embedded quotation from Heraclitus: ‘and the way / up is way / down’ (For the Living 35). There is likewise a descent in Eliot’s ‘Burnt Norton’: ‘Descend lower, descend only / Into the world of perpetual solitude’ (Eliot 1952: 120). Furthermore, this downward journey is the prerequisite to transformation and is certainly one required of the artist in order for the creative process to take place. Such a journey is also interpretable as a return to the womb, the site of one’s conception. In Christianity the Mother Goddess has been divested of all real power and replaced by a figure who is more a repository than an initiator. When Nicodemus asks Jesus how is it possible for an old man to be born again and wonders if he must re-enter his mothers womb in order to do so, Jesus replies: ‘Except a man be born of water and of the Spirit, he cannot enter into the kingdom of God’ (John 3: 5). Another source for Berengarten is the epic of Gilgamesh. Nancy. K. Sandars’ introduction explores the story, its origins and her approach to the translation of the text which, she writes, necessitated some overlapping and editing (Sandars 1960: 51). Berengarten references this multi-authored ancient text in his exploration of duality, specifically embodied in the characters of Gilgamesh and his ‘savage’ brother, Enkidu, especially in sections 12–14 of the poem (For the Living 36–39). Gilgamesh’s journey is that of the hero. This Sumerian/Babylonian world is darker than the Egyptian one, in that the Sumerian Heaven is reserved only for the gods; and it is this darkness that pervades Gilgamesh. Gilgamesh’s journey operates on many levels, as allegory, as a great adventure story, as a quasi-historical account of possible events. It contains a flood which predates the Biblical account by a thousand years, a river that must be crossed, and a forest through which the hero must find his way to the mountain. There he will find wood for the temple he is building. The mountain is the ‘seat of the gods and [entrance to] the underworld’ (Sandars 1960: 33). It is also the ‘sender of dreams’. The line between sleep and wakefulness is blurred both in the epic and in ‘Avebury’. Indeed, the oneiric realm is as important as the conscious world in both texts, as well as in Sunstone. Dreams provide clues to unravelling the mystery. The first two sections of ‘Avebury’ also suggest that the site of the stone circle is itself an opening to some other realm. What is therefore clear to the reader at this point is that there is something to be figured out. At the same time, it could be argued that no one ever really wants the answers to the mystery. Its impenetrability is its source of power over rational beings. In the second section, the questioner enters the text in person. The living walk among the dead, and the ancestorless speaker wonders what the beings search for, ‘looking for what / the riddle? / the question?’ (For the Living 26). protecting [… ] the mouth of her… (For the Living 32). shadow you discarded (For the Living 36). By becoming blind, one sees. In this same section, the speaker shields his eyes ‘against a blaze of inner noon’. A transformation has taken place. Blood is introduced as part of the ritual of sacrifice. The speaker wonders if it is his brother he hears in the darkness and, in section 13, an unnamed Enkidu, feral brother and darker self of Gilgamesh, and protector of the forest which stands between Gilgamesh and the Cedar Mountain, appears. In the epic, it is the temple priestess who ‘tames’ Enkidu, separating him from his animal companions through sexual initiation, and it is this separation from the beasts, who have no language, that marks the civilised man. Enkidu is given the double-edged sword of language, a highly significant gift but one that alienates him from his former companions. Sections 16–21 are particularly influenced by Paz, especially by passages of Piedra del Sol, where Paz writes of the goddess / mother and the dreamer (1991: 51 & 53) and also by Peter Russell’s unpublished Ephemeron. Section 16 moves from spiritual to scientific enquiry. As the stone is an elemental product of earth, the poet queries his own substance, ‘you too / a monad / atom / as I am / what is the sum / of these quanta? / I am not just / my body’ (For the Living 41). In the philosophy of Leibniz, the monad is the elemental spiritual substance from which all material properties arise; thus, by choosing this particular word, Berengarten seeks to embody (textualise) the substance of the inquisitive speaker. In this passage, the appearance of the word ‘nomad’ suggests punning wordplay on the previous term ‘monad’, and perhaps the sort of trick that the mind plays in dream and on the threshold between waking and sleep. As in the lives of the ancients, the dream is of vital importance to the poet, who is at the threshold between the conscious and subconscious mind. The poet has been spoken and dreamed. The ‘blood’ of section 19 brings the poet back to the altar of sacrifice, and the death of the ancestors is recalled. The durability of the stone and of the ancestors is contained in the last lines, which describe the elemental forces at work: ‘the sun’s hammer / the frost’s nails / the wind’s arsenal! (For the Living 44). These images are reminiscent of the power of Enlil, who in The Epic of Gilgamesh is the god of the storm and wind and of the breath and word of Anu, father of the gods (Sandars 1960: 120). word (For the Living 46). By the end of this section, the speaker has been reunited with the ‘ghost gone at end / of childhood’ (For the Living 46) and his ancestors. He rejoins the community as a new being. Section 22 is a departure from the spiritual community to the secular society and the edifices of the modern world, i.e., ‘The Labour Exchange’, ‘The Square and Compasses’, a pub,  and the ‘Maplan Supermarket’. The supermarket is presented, ironically, as the ‘sacred space’ in the modern world, because it ‘sells everything’, ‘with just room to move / from corner to corner / in a web of gravities / thick as a word’ (For the Living 47). Olson writes in the Maximus Poems, ‘The corner magazine store / (Oconnell’s, at Prospect and Washington) / has more essential room in it than programs’ (Olson 1983: 379). The shimmering commodities of daily life curiously call the poet back to his ancestors who are ‘locked in stone’. Now it is we who ‘struggle out of / measuring / immeasurables’ (For the Living 48). And now, in Section 23, the goddess figure returns. She has been introduced as ‘Venus / of the hunters’ in Section 6, and has been present in various manifestations of femininity throughout the poem; but here it is recognised that she ‘was no whore’. Now, significantly, there is ‘no gap / between speech and her mouth’, as ‘lips touch / speech / tongues’ and ‘the world’ is ‘born’. Blindness has been replaced by ‘light of eyes / eye of light / child of elements’ and the affirmation ‘anywhere centre / say these stones / of Avebury’ (For the Living 49). The italics of the last section highlight what the speaker has found as a result of his ‘death and rebirth’. ‘any / where’ is ‘centre’ and not only the poet but the world awakens to this newness. Echoes are heard from ‘out of galactic range / creatures awake on distant shores’. Not only has the poet been reborn but he has found his place among the others. Taking the standing stones of Avebury both as his point of departure and the locus to which he returns, Berengarten discovers that the architext of the sacred circle is inclusive. The sacred space is indeed anywhere and everywhere. Martin Booth, reviewing ‘Avebury’ on its first publication, wrote that the poem poses challenges to the reader, but that recurrent images provide grounding, create tension and sustain the themes (Booth 1973). Aged only 28 at the time, Berengarten undertook the difficult task of writing a long poem. Yet there is a timeless quality to the work in its attempt to understand pre-literate syntax and place oneself in an historical context: to find meaning in the stones. Berengarten, Richard. 1971. ‘A Poet in Cambridge: on the achievement of Octavio Paz’ in The Times Educational Supplement (1 January, 1971): 113–14. –––. 2008a. For the Living: Selected Writings, Vol. 1: Longer Poems 1965–2000. Cambridge: Salt. –––. 2008b. The Manager: a poem. Selected Writings, Vol. 2. Cambridge: Salt. –––. 2008c. ‘Notes on Avebury’, Unpublished text. Booth, Martin. 1973. ‘Self-placement in time and order’, The Teacher (18 May 1973). Burns, Richard. 1999. Against Perfection. Norwich: The King of Hearts. –––. 1973. Avebury. London: Anvil Press Poetry. –––. 1872. Double Flute. London: Enitharmon Press. Dante.Alighieri (tr. John D. Sinclair). 1939. The Divine Comedy: Inferno. New York: Oxford University Press. Eliot, T. S. 1952. Complete Plays and Poems. New York: Harcourt Brace. Garber, Marjorie B. and Nancy J. Vickers (eds). 2003. The Medusa Reader. New York: Routledge. Graham, W. S. 1970. Malcolm Mooney’s Land. London: Faber & Faber. –––. 1977. Implements in Their Places. London: Faber & Faber. Homer. The Odyssey (tr. A. T. Murray). 1953. Cambridge MA and London: Harvard University Press and William Heinemann, Ltd.
Jope, Norman. 1996. For the Wedding-Guest. Exeter: Stride Books. Keeley, Edmund & Philip Sherrard (tr.). 1966. Four Greek Poets. London: Penguin Books. Levy, G. R. 1963 . The Gate of Horn: Religious Conceptions of the Stone Age and Their Influence upon European Thought. New York: Harper and Row. Milton, John. 1929. The Poetical Works of John Milton, London: McMillan and Co. Limited. Neumann, Erich. 2003 . ‘A Jungian View of the Terrible Mother’ (tr. R. F. C. Hull) in Garbers & Vickers (2003): 96–99. Olson, Charles. 1983. The Maximus Poems. Berkeley, Los Angeles & London: University of California Press. Paz, Octavio. 1961 . The Labyrinth of Solitude and Other Writings (tr. Lysander Kemp). New York: Grove Press [London: Allen Lane]. –––. 1991. Sun Stone [Piedra De Sol] (tr. Eliot Weinberger). New York: New Directions. Sandars, N. K (ed. & tr.). 1960. The Epic of Gilgamesh. London: Penguin Books. Shelley, Percy Bysshe. 1901. The Complete Poetical Works of Percy Bysshe Shelley, Cambridge Edition (ed. George Edward Woodberry). Boston and New York: The Riverside Press and Houghton, Mifflin and Co.
Virgil. 1961. Aeneid, (tr. John Dryden with introductions and notes). New York: P.F. Collier & Son. ‘Notes on Avebury’, an unpublished text sent to the author by Richard Berengarten, July 2008. Further references to this text are listed as: RB, Notes on Avebury, 2008. Unpublished correspendence between Octavio Paz to Richard Berengarten, July 28, 1973. Strictly speaking, Avebury is not a single site but a complex of Neolithic monuments from at least two millennia, spread out across several square kilometres of the chalk uplands of Central Southern England (specifically, the Marlborough Downs in Wiltshire). In addition to the stone circle that surrounds the village of Avebury itself (built some time in the third millennium BC), these include Silbury Hill (the largest prehistoric artificial mound in Europe, probably built at around the same time), West Kennett Long Barrow (a chamber tomb from the fourth millennium BC) and Windmill Hill (a causewayed enclosure from the fifth millennium BC). Given Berengarten’s comment (‘Notes on Avebury’, 2008) that “we made a point of stopping off at Avebury for a break from the driving” (en route from Cambridge to Devon, in Summer 1971), and the imagery of the poem itself, it appears that the stone circle that surrounds the village of Avebury was the inspirational trigger. Other poets (e.g. Jope 1996: 76, 82–86), have written about this complex of sites from a more ‘place-specific’ perspective. Berengarten, ‘Notes on Avebury’, 2008. Other comments by Berengarten in this paragraph and the next are taken from the same source. The same figure appears in ‘Male Figure Playing a Double Flute’ in R. Burns, Against Perfection (1999: 43). Berengarten, ‘Notes on Avebury’, 2008. Berengarten’s ‘Croft Woods’ (For the Living 198–2009) revisits many of the themes of ‘Avebury’. The slipperiness of language, the seductive charms of music, the journey downwards into Self and even the gates of ivory and horn reappear in this later work. The journey in the latter poem, however, seems more lateral than circular. The light is a “slanted source” and “hangs diagonally down” (For the Living 199). Interestingly, the name “Maplan” recurs 28 years later in Berengarten’s long poem The Manager where, as the company that employs the protagonist, Jordan Bruno, it is an ironic acronym: “Market Advice Planning for Living And Necessity” (MAPLAN)” (The Manager 145). Paz’s intriguing and well-informed essay, Labyrinth of Solitude, delves deeply into the roots of Mexican identity, in particular, the tension between the public and the private self, the isolated individual and the need for community: themes Berengarten also explores in ‘Avebury’. First published in Spanish in 1950, and in English in 1961, and written in a prose both poetic and scholarly, Labyrinth crosses the boundaries between disciplines. Part history, part sociological study, part economic analysis, part political commentary, Paz’s message is as relevant today as it was half a century ago. It would seem that ‘Avebury’ strives to express this same all-encompassing view of humanity and history. RB, ‘Notes on Avebury’, 2008. Neli Moody is a poet and a lecturer at San Jose State University, where she teaches composition and creative writing. She received her M.F.A. in Creative Writing from SJSU. 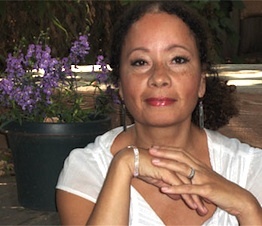 She has received numerous awards for her work, including the Phelan Award and the Virginia Araujo Award sponsored by the American Academy of Poetry. After Altamira, published by Ishmael Reed Publishing Company in 2006, was nominated for a National Book Award. She is currently working on four more collections. Her work has appeared in such publications as Brick and Mortar Review, Konch Magazine,Appalachian Times, and Reed Magazine. Her multicultural background and lifelong studies in dance, music, and art have informed her poetry.